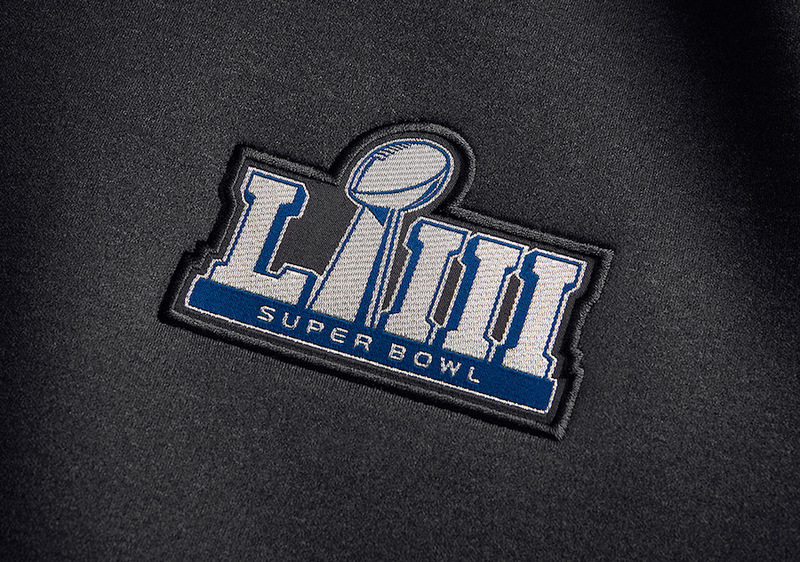 EA Sports is celebrating the Super Bowl LIII which will be between the Los Angeles Rams and the New England Patriots. 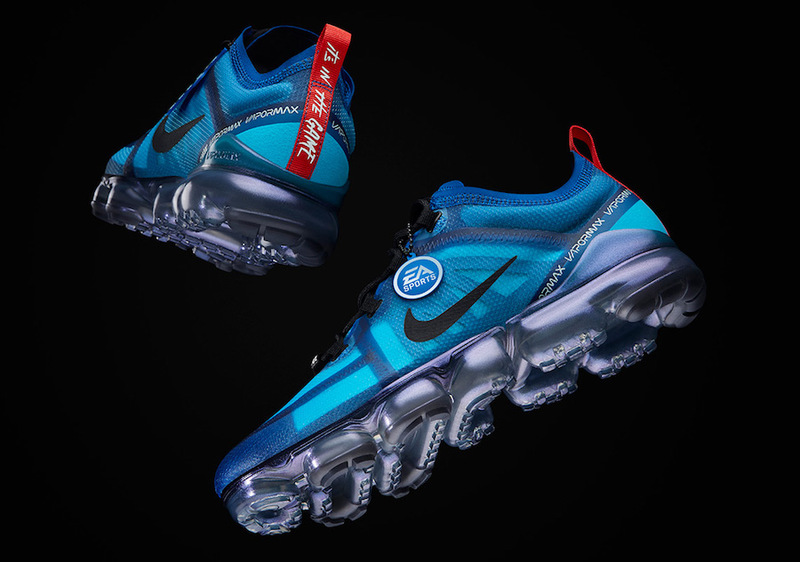 In true fashion, a special Madden Pack will debut which is highlighted with the Nike Air VaporMax 2019 and a short sleeve Fuse Showout hoodie. 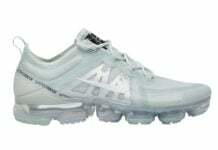 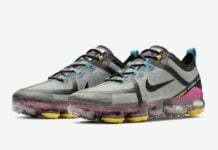 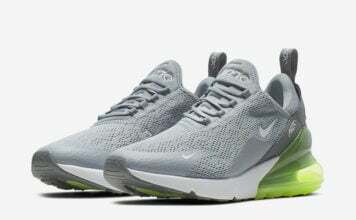 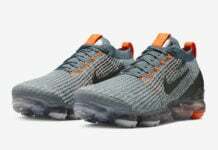 This Nike Air VaporMax 2019 comes with a Blue translucent upper, Black accents on the Swoosh and laces along with a tonal inner cage. 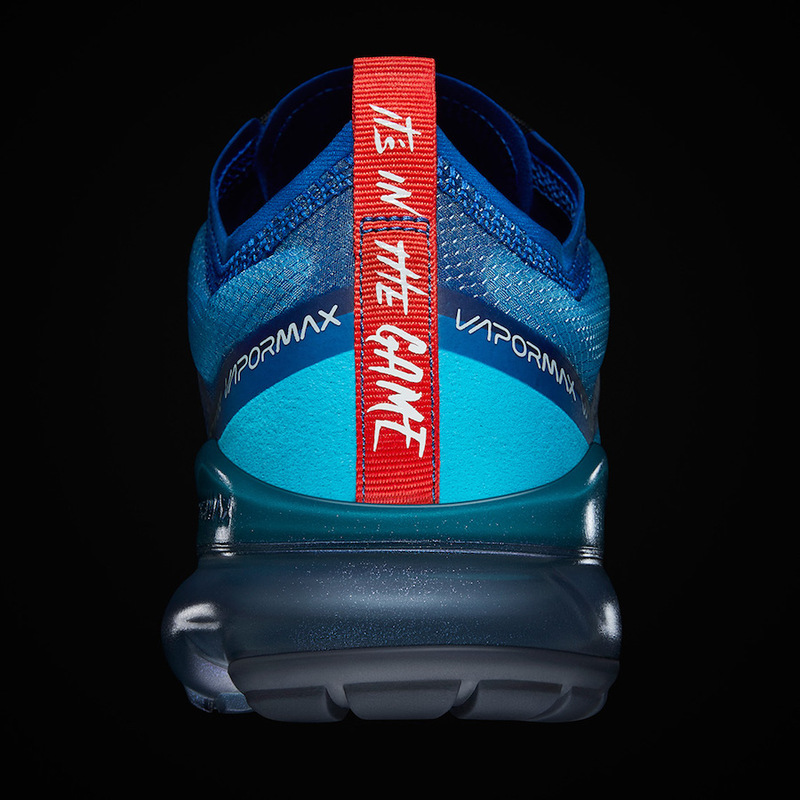 Following we have Red on the heel tab with EA Sports tag line, ‘It’s in the Game’ and the Madden NFL 19 logo on the bottom laces. 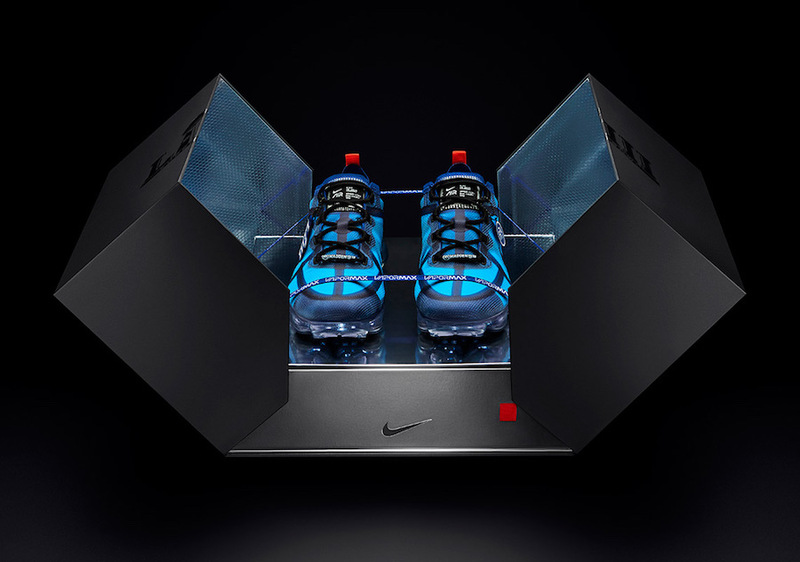 The last detail is an EA Sports hang tag. 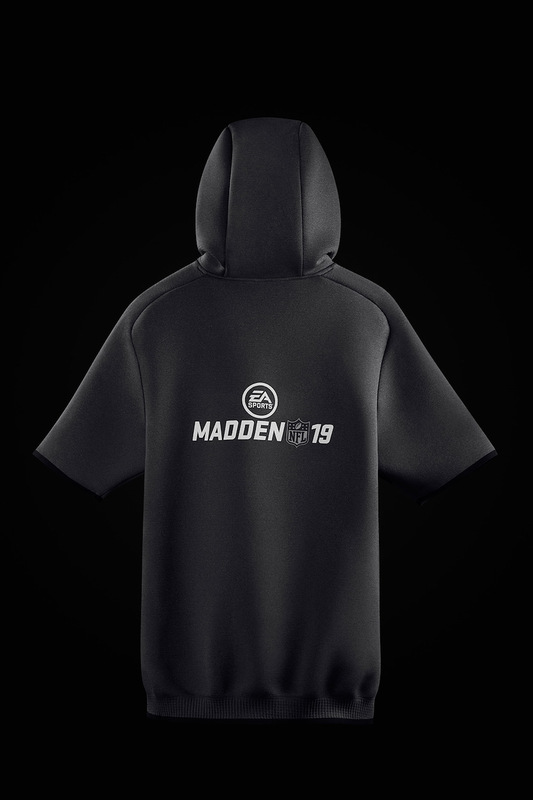 You can find the Madden NFL 19 players this Friday, Saturday and Sunday from surprise unlocks. 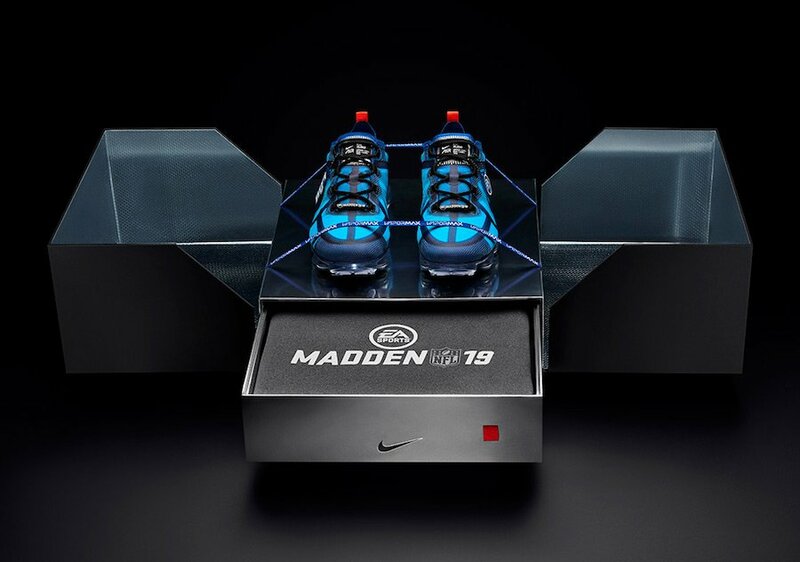 You can also win pairs through the Madden Rewards Program by interacting with the Madden Twitch show or competing in solo challenged on Madden Ultimate Team. 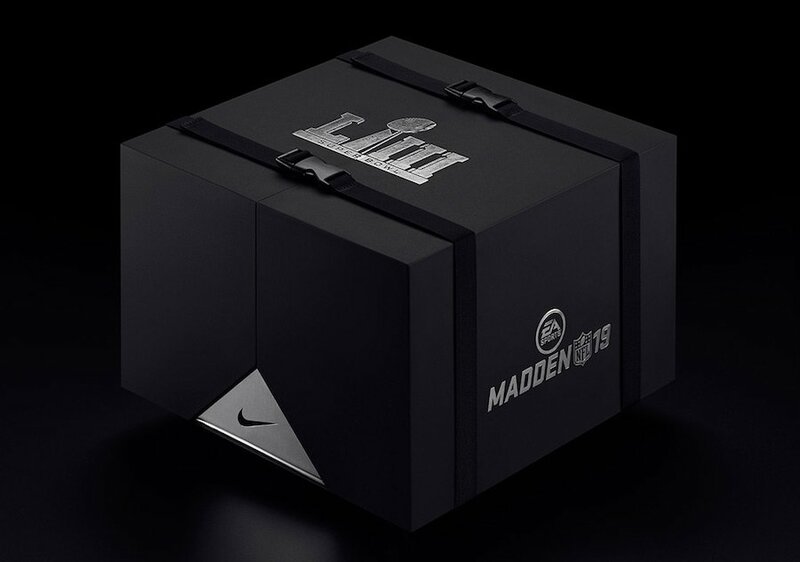 The giveaway will be announced on Madden’s official Twitter, Instagram and Facebook pages.